On completion of this course, students will be certified as safety officers and receive the General HSE certificate of competence. The course will equip participants with general safety (HSE) knowledge and certify them as HSE competent. 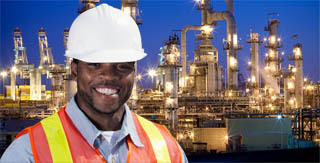 HSE certification is compulsory for anyone who desires to work in the oil and gas industry. NGN30,000 per person; this includes all materials including course text book, registration, enrollment, daily lunch and refreshments, exams and certification.